Study sheets, Copyright (c) 2006-2018, Dusty Garison. All rights reserved. For over ten years I have taught the “Investigators Bible Class” at Beltway Park Church in Abilene – most of that at the south campus, but now at the north campus. These study sheets were written specifically for my class. You are welcome to print these for personal use, but please do not edit, revise, copy, distribute or otherwise republish without specific permission. In the Sermon on the Mount, Jesus calls His followers into a new and different way of living. At its heart, however, the message isn’t about rules – it’s about a relationship with God that transforms who we are and how we see the world. The class can be joined at any time. Study sheets will be provided, and participants are encouraged to bring their Bibles and a pen. Come be a part of the Summer in the Sermon! Towards the end of the First Century A.D., many false teachers were hard at work in the church, spreading their lies and deception – just as Jesus had warned would happen. To combat these deceivers, the Apostle John left behind a sermon in the form of a letter. In this letter, which we call First John, John gives us three tests to help us know if faith is genuine, and describing how we as Christians should live. In this class, we will consider John’s message, and discover that his three tests are still valuable for us today. The practical wisdom he shares will give us encouragement, confidence, and hope, in spite of whatever difficulties we may face. How can a person be saved? We are saved through faith in Christ, right? But what does that really mean? For that matter, what IS faith, and what does it look like in our everyday lives? Many Christians today are struggling with these questions. And these are the very questions Paul wanted to answer in the Book of Romans. We will consider what it really means to live by faith, and how to put that faith into practice. We will find assurance from knowing that we have peace with God and that there is no condemnation for those in Christ Jesus; we will also learn what it means to offer ourselves as living sacrifices to God. Many believers struggle with the challenges of living out their faith. What does the Bible mean when it says we are to “submit to God,” or that we should “be holy”? Fortunately, we do not have to wonder. The letters of James and First Peter are full of practical advice on how Christians ought to live for God, day in and day out. This study will provide practical insight on what it means to live as a Christian, and show us habits to help us be more devoted followers of Christ. The Ten Commandments are among the most familiar pieces of scripture in the entire Bible – they even have their own movie! They have been quoted, debated, and discussed; they have also been at the center of many lawsuits. And yet, many people don’t really know them, or understand their continuing importance. Even many Christians seem unsure how to apply them to everyday life. In this class we will explore each of the well-known commandments, and will discover that each of them holds a valuable principle that matters to our lives today. Rather than seeing them as harsh or restrictive, we will explore the life-giving truth contained within each, and understand how these ancient verses are still relevant for believers in the 21st century. The book of First Corinthians remains one of the most relevant in the entire Bible, and even today, we are still wrestling with the issues it confronts. How much should I limit my freedom in Christ to avoid offending others? How does being in Christ affect my sexuality? What about speaking in tongues and other spiritual gifts? Did Jesus really rise from the dead, and besides, what difference does it make? What are parables? Are they just simple stories Jesus used to entertain the crowd, or do they have a more lasting significance, even to modern day audiences? In this study, we will examine many of Jesus’ best-known stories and sayings to discover the timeless spiritual truths they contain. We will discover how He used amazing word pictures and vivid imagery to describe life in the Kingdom of God, to teach His disciples and confront His enemies. In the Bible, names have great significance. More than just a way of referring to someone, a name represents a person’s character and true nature. It should not surprise us to learn that God is known by many names, especially in the Old Testament: Yahweh, Lord, Father, Husband, Healer, the God who sees, the Holy One of Israel, and many more. This study will consider the different names by which God is known, to discover what they reveal to us about His character, and to explore the various aspects of the relationship He offers. We will also examine how knowing these different names and titles for God can enrich our prayer life and strengthen our daily walk with the Lord. GO DEEPER: RECOMMENDED RESOURCES. The book of Hebrews is one of the most inspiring and challenging books in the entire Bible. It was written to first century Jewish believers in Jesus who were being pressured to abandon their faith and return to their old way of life. This book examines the complete superiority of Jesus in everything, and affirms that the law and the sacrifices were only shadows of things to come, but Jesus is the reality. In this class we will consider all the ways that Jesus is God’s final word to us: eternal and better than anything or anyone else. We will also examine such questions as, What does it mean to be part of the community of believers? If Jesus has triumphed, why do we still face trials and suffering? How can we remain faithful, even in the face of opposition? In the process, we will see Jesus as our Brother, High Priest, the Pioneer and Perfecter of our faith – the same yesterday, today and forever. The prophet Isaiah lived hundreds of years before Jesus was born, yet God gave him incredible visions about the coming Messiah, the nature of His work and the Kingdom He would bring. In this class we will look at some of Isaiah’s prophecies about Jesus and His birth, how they were fulfilled, and what they mean for us today. Are you curious about Jewish festivals and traditions? Do you want to know what they mean for Christ-followers today? Does the mystery of a “High Holy Day” still matter? In this 12-week course, we will consider each of the festivals and its fulfillment in Jesus and what they mean to us today. More than just random character traits, the Spirit produces these qualities in us as a way to bless those around us, and also reflect our progress towards spiritual maturity. In this study, we will discover a Biblical definition for each quality, and explore the ways they encourage us to becoming even more fruitful for Christ. “The fear of the LORD is the beginning of wisdom,” Proverbs tells us, but what does that really mean? How does one gain wisdom, and more importantly, what connection does it have to everyday life? This ten part study will consider the ancient book of Proverbs and discover its insights into how to live in a way that God says is wise. And we just may discover truth that is as relevant today as it was 3000 years ago. The Gospel of John is unique among the four accounts of the life of Jesus found in the New Testament. John, “the disciple whom Jesus loved,” was an eyewitness to nearly all that Jesus did and said during His ministry, and this book represents John’s memoir of the life of Christ after a lifetime of thinking about it. Small wonder that so many believers today regard it as their favorite book in the Bible. 15 – Who’s Your Daddy? 18 – Do You Trust Me? In this class, loosely based on the popular television program, we examine questions such as, How can we know God exists?, Why does God allow suffering?, How do I know I can trust the Bible?, Is the resurrection just a myth?, and more. Learn more about what it means to love God with our minds (Matt. 22:37), and be better prepared “to give the reasons for that the hope that we have within us” (1 Peter 3:15). 05: The Bible: Is It Reliable? 08: The Resurrection: History or Hoax? For Christmas, 2012, we made an examination of the numerous Old Testament prophecies concerning the lineage and birth of Jesus. During the Summer of 2012, our class studied the Minor Prophets – those lonely voices speaking for God, crying out for repentance and social justice while envisioning God’s coming Kingdom and warning of judgment to come. 01 – Who You Calling Minor? 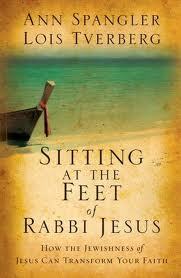 Our topic for Spring, 2012, was the book Sitting at the Feet of Rabbi Jesus by Ann Spangler & Lois Tverberg. Great website and resume. I am not familiar with DCC. I assume it is related to the Christian Church. They and acu trained you well, but you have the intellect that is trainable to a high level. Elaine and I enjoy your class. We will be out a lot this summer with HHC activities. Not just skipping. Thanks so much for your kind comments. We are so happy to have y’all with us! God bless.